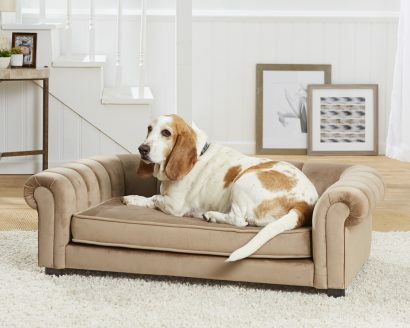 The Panache Sofa is an ultra plush pet bed featuring storage for all of your pet’s toys and bones. 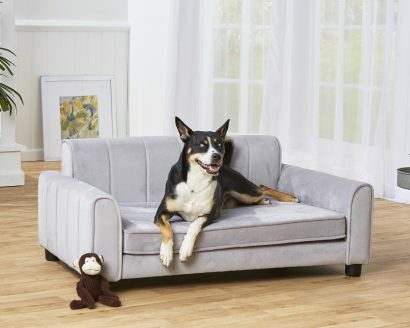 This bed features a removable and washable cushion cover for easy cleaning. 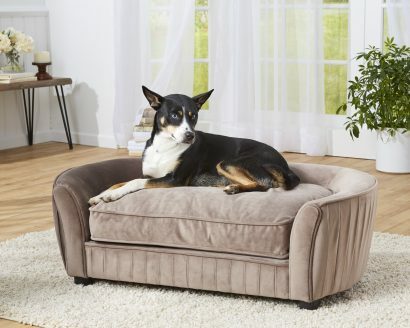 Raised feet lifts the bed off the ground and keeps your pet draft free. 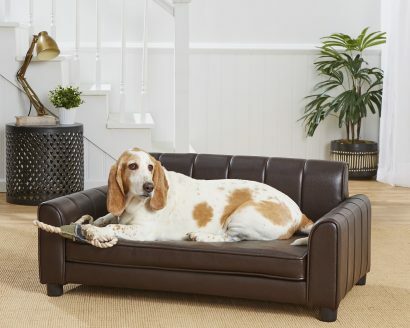 Fully upholstered, durable furniture grade construction. 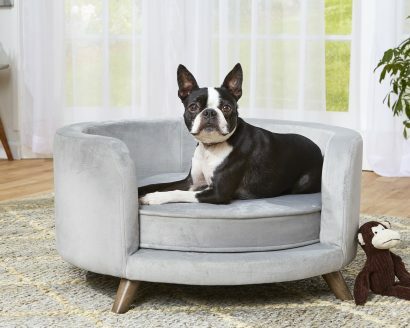 Meet Violet, an 11 pound Boston Terrier who finds herself feeling quite cozy in our newest design, the Rosie Sofa. 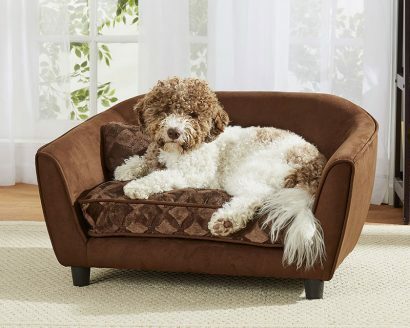 It is super soft, velvety-plush, with a full round shape featuring our Sleep Comfort Contour style. The high rounded sides foster her natural instinct to feel protected. Finished with 3’ driftwood legs for style and draft-free sleep. 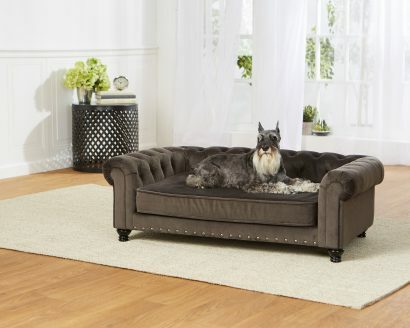 The Wentworth Sofa is a stately, generously tufted pet bed upholstered in charcoal grey velvet. 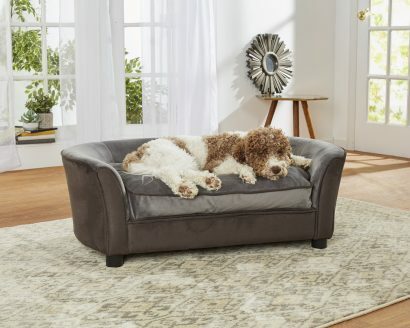 It boasts a classic, tufted, rolled-arm and brasstone nailhead trim detail. 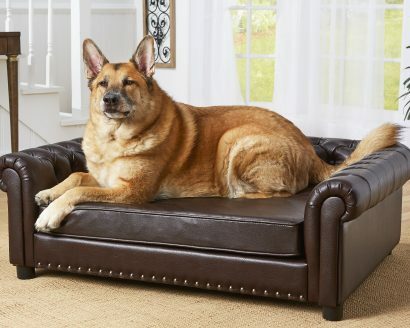 Durable furniture grade construction with a solid foam cushion, it suits a medium dog who likes to lean while resting.